This information was originally released in the E-News email distributed on 2/5/2019. 54 Station, a 264-unit property in Durham, was purchased by Chaucer Creek Capital from Brown Investment Properties for $40 million. A portfolio of 4 properties including Atria at Crabtree Valley (Raleigh), Audubon Parc (Cary), Ashford Green (Charlotte) and the Retreat at McAlpine Creek (Charlotte), totaling 1,148 units, was purchased by Waterton from Bainbridge Companies for $169 million. Full House Marketing would like to welcome Stephanie Lloyd as their Business Development and Marketing Manager! Full House Marketing would like to welcome Bret Smith as their Operations Manager! Indigo Apartments, a 488-unit property in Morrisville, was purchased by Blue Heron Asset Management from Kathleen Schneider & Ticon Properties for $59 million. Congratulations to Hans Dara on his promotion to Partner with Loebsack & Brownlee, PLLC! Loebsack & Brownlee, PLLC would like to welcome Michelle Brownlee as their Apartment Association Liaison! Preserve at the Park, a 176-unit property in Durham, was purchased by Dasmen Residential and Slope Realty from Wayfair Residential for $18.8 million. Signature 1505, a 150-unit property in Raleigh, was purchased by Preiss Company from Peak Campus & Blue Vista Capital Management for $52.74 million. 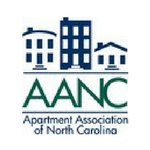 Sir Walter Apartments, a 140-unit property in Raleigh, was purchased by Capital Realty Group from Salem Senior Housing for $16.8 million. Southern Oaks at Davis Park, a 287-unit property in Morrisville, was purchased by Cortland from Sherman Residential for $47.8 million. RKW Residential would like to welcome Julie Chu Zhang as a Regional Property Manager! Vert at Six Forks, a 174-unit property in Raleigh, was purchased by Lincoln Property Company from Republic Properties Corporation for $4.8 million. Have you had recent changes at your property or company? Contact us and let us know!